The industrial application of electronics has advanced the oldest industries like agriculture, production, fabrication, mining, oil, and railway into technology driven and controlled businesses with higher efficiency and safety. We carry a wide variety of motion and occupancy sensors, communication gateways, power line communicators, dual-stage controllers, programmable logic controllers, and motor controllers. 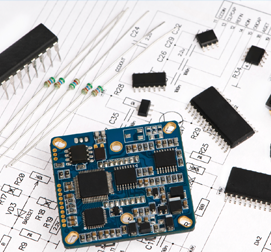 The Industrial sector has been streamlined and optimized by the electronic components in the market and automation.